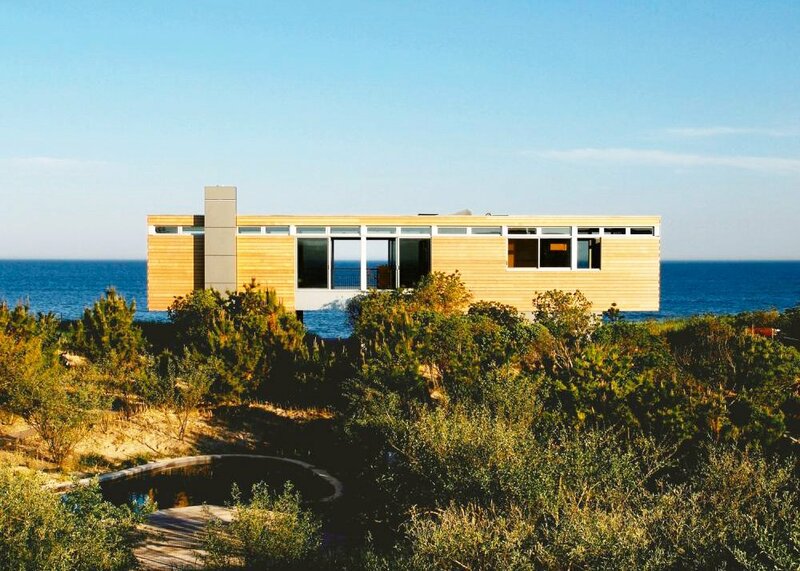 There is a beautiful, breezy property in Bridgehampton that seems to be floating atop its sandy site. 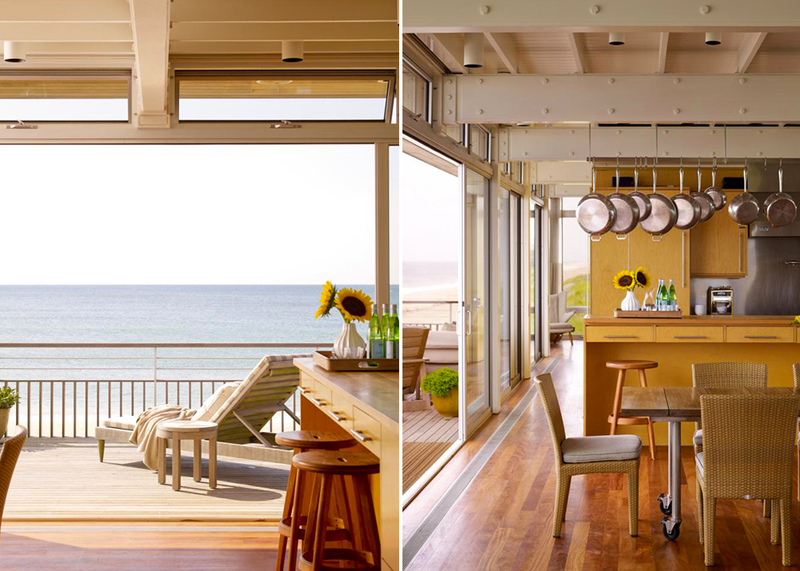 Called the Surfside Residence, this stunning home was designed by local studio Stelle Lomont Rouhani Architects as a retreat from all the hustle and bustle of daily life. 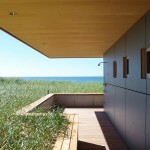 Clad in wood and featuring two levels, just about every room in this abode boasts jaw-dropping views of the ocean. If you want to take a little mental break from today’s grind, take a tour of this gorgeous house with us—the pictures alone are guaranteed to put you in a more peaceful state. 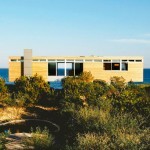 The Surfside Residence is perched atop an oceanfront dune surrounded by beach grass, bayberry and other native plants. 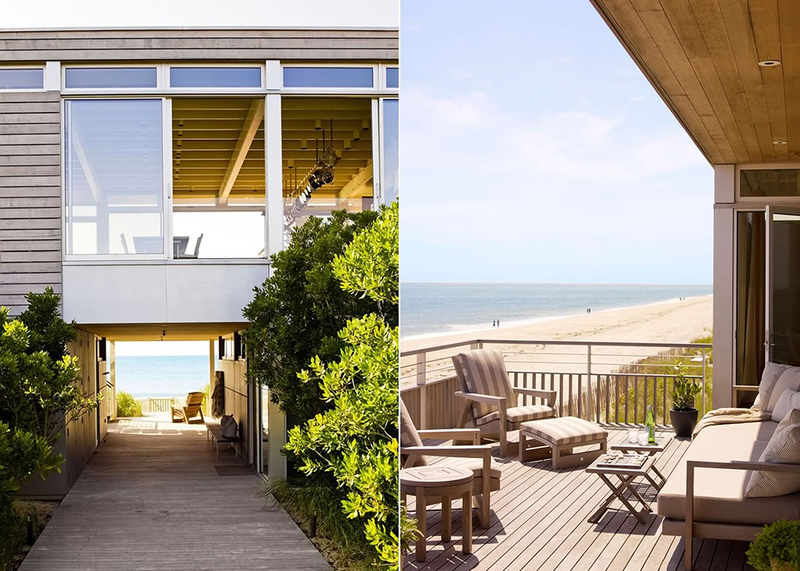 With two stories, a guesthouse, a two-car garage, a chlorine-free pool, a sauna suite, a wooden deck and a spacious interior, this light-saturated dwelling is the perfect luxury retreat. And though it looks definitively modern, the home is actually a renovation of an older house that had deteriorated over the years. To update the home, the original structure was reinforced with steel framing, and the dark wooden interiors and small windows were replaced with a brighter palette and full height glass. 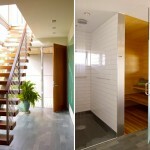 Cement panel rain screens and anodized aluminum windows were also added as ways to boost the home’s energy-efficiency. 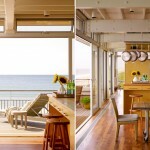 Windows and doors on opposite sides of the home were also added to boost interior light and to provide for better cross-ventilation. 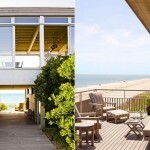 The house is also equipped with geothermal heating and cooling and hosts photovoltaic panels to reduce the home’s carbon footprint even futher. You can see more of Stelle Lomont Rouhani Architects’ beautiful homes here.